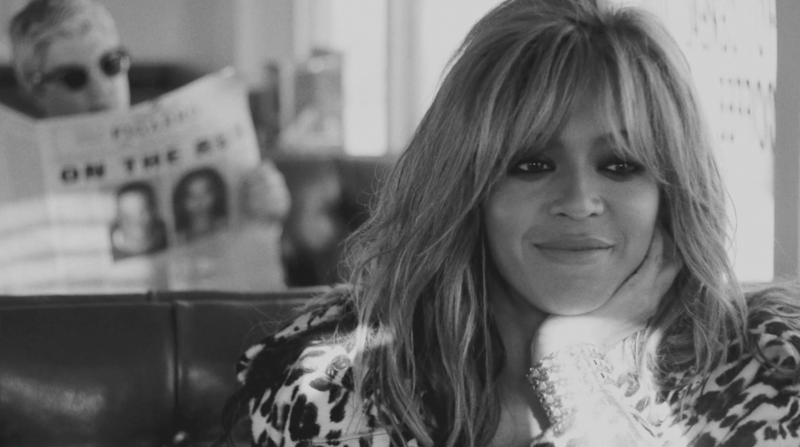 Beyoncé and Jay Z have been releasing a lot of short films lately. Okay, sure, those short films are more like moving concept art for Beyoncé and Jay Z's On the Run tour and HBO special, but that doesn't change the fact that the two of them are in character and telling a story that all of us really, really want to watch play out. Now that Beyoncé and Jay Z plan to release three more short films based around their concept for the On the Run tour, I can't help but wonder if this is marking a transition from music and back into acting — for Beyoncé anyway. Unlike Jay Z, she has some legit acting credits to her name and not just cameo appearances or appearances in which she played herself. Could the Bang Bang short film release be her way of whetting our appetites for a triumphant return to acting? Here's the thing. Speaking as an unabashed Beyoncé Stan, I have to say that her acting career has been...lackluster. Beyoncé appeared as Deena Jones in Dreamgirls in 2006 and as Sharon in Obsessed in 2009. While she was nominated for a Golden Globe for her performance in the former, the latter was critically and commercially panned, probably because it involved no singing on Beyoncé's part. Beyoncé has appeared in other films, both onscreen and as a voice actor, but obviously she is overwhelmingly known for her music. So is it about time that Beyoncé makes a return to the big screen? After all, her last film credit was in Obsessed, and that's not really the note you want to end your acting career on. She just finished a joint tour with her husband and her options here are basically get to work on her next album or try something new and different. To be perfectly honest, Beyoncé might find it a bit difficult to have a proper follow up to Beyoncé, just for the sheer fact that releasing an album secretly with no promotion and having it hit No. 1 on iTunes is kind of a once-in-a-career move. I'm not saying she can't follow up to the music, because every time we think we have the single that will define Beyoncé's entire career as a musician she proves us wrong, but I get the sense that any album Beyoncé releases from here on out will be a slight disappointment by comparison. On the other hand, with her acting career, she literally has nowhere to go but up. Obsessed didn't make a whole lot of sense plot-wise and the girl-against-girl for guy warfare is so not what Beyoncé is about, at least not these days. If Beyoncé decided to take a role in a film that didn't just involve using her voice, I, for one, would grab a ticket just for the sheer fact that I would want to see if this was more of an Obsessed or a Dreamgirls performance. Beyoncé and Jay Z's three-part short film Bang Bang is already deliciously amazing, even if there isn't any dialogue whatsoever so far. If you can make people long for a film based off of a concert trailer, then you could definitely finagle your way into revived acting career off of a three-part short film. And if you're Beyoncé, then you can basically do whatever you want and people will probably give you their money to do it. All I'm saying is, as a Beyoncé fan, it might be time for her to take her empire back into film. Then again, if her return to film means that I have to wait twice as long for the next Beyoncé album, then never mind. The two-year wait between 4 and Beyoncé was long enough, even if right now it seems unlikely that Beyoncé will be able to top her fifth album with her sixth. Beyoncé's best movies involve some kind of singing or performance anyway, so maybe she should take a hint from that and release her next album as the sound track to an accompanying feature-length concept movie and redefine the phrase visual album.